A weekend trip to the Big Apple sounds like an amazing getaway! Simple, sophisticated & modern items alway look chic in a cosmopolitan city. As you pack for your weekend trip, think effortless & casual so you can blend in with those on-the-go city dwellers. 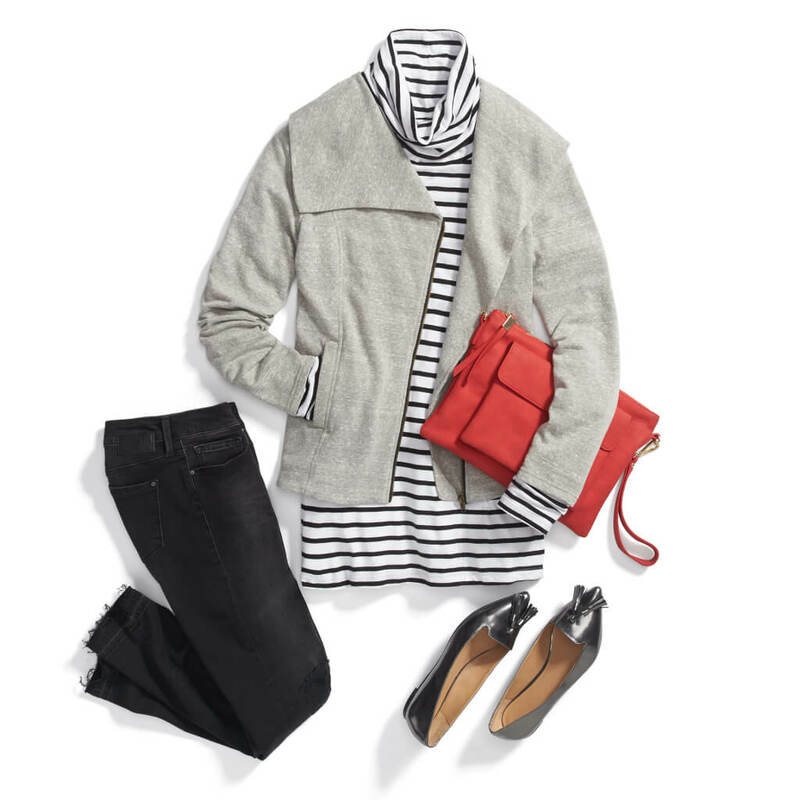 Try a sleek, black cropped pant, paired with a classic striped tee for a casual but streamlined look. With menswear-inspired looks trending, now is the perfect time to complete your outfit with a comfy pair of Oxfords. Layer on a quintessential blazer or moto jacket for when the sun starts to set. For a look that can easily be taken from day to night, a breezy midi skirt will make the perfect outfit anchor. Pair it with a light & airy blouse in a bold botanical print to bring a little greenery into the concrete jungle during Sunday brunch. Finish your ensemble with dainty lace-up flats or easy espadrilles.